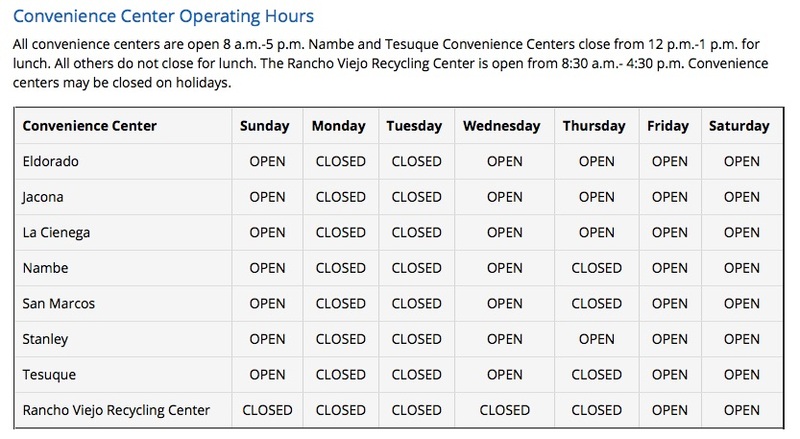 Santa Fe County Solid Waste & Recycling Division operates 7 solid waste transfer stations around the County: Eldorado, Jacona, La Cienega, Nambe, San Marcos, Stanley, and Tesuque. What can and cannot go in your curbside bin and how should it be separated? Save money and resources at work by recycling! Print recycling posters for your business or school. Monday - Sunday: 8:00 a.m. - 4:45 p.m.
Methods of payment: cash, check, debit card, credit card (Visa, Mastercard, Discover only). Monday – Saturday: 7:00 a.m. - 4:00 p.m.
Closed: Sundays, New Year’s Day, Thanksgiving Day, Christmas Day. Note: Pre-approved commercial account holders only. 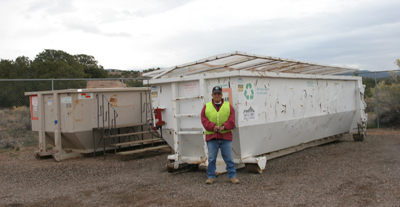 Monday – Saturday: 7:00 a.m. - 5:00 p.m.
BuRRT, operated by Santa Fe Solid Waste Management Agency (SFSWMA) is Santa Fe’s one stop center for safe and proper disposal of recycling, green waste, E-Waste, Household Hazardous Waste (HHW), and trash. Santa Fe County Solid Waste & Recycling Division operates eight (8) solid waste transfer stations around Santa Fe County. All solid waste transfer stations, or convenient centers, accept tires and offer recycling collection, and trash disposal. 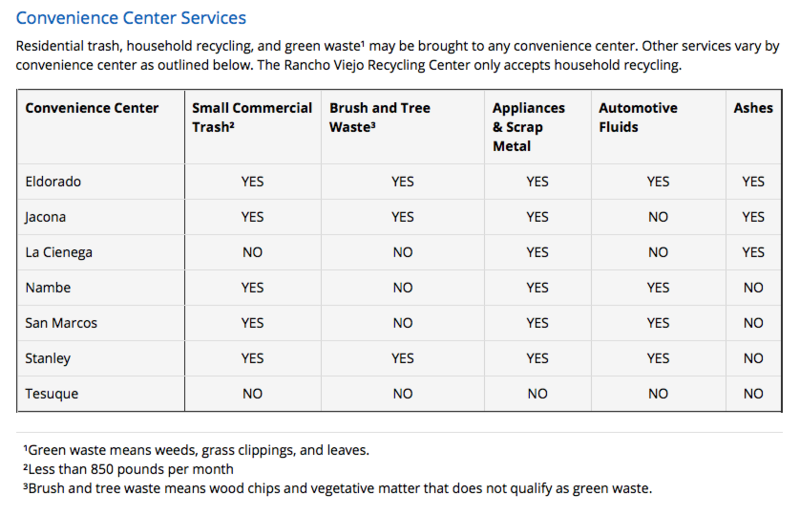 A few transfer stations accept large appliances, green waste, and motor oil for recycling, but check to see which ones accept it first. No county centers take Household Hazardous Waste (HHW). Please take to BuRRT (see top of this page). Call (505) 992-3010 during business hours (Mon – Fri, 8:00 a.m. – 5:00 p.m.) or (505) 992-3017 any time for pre-recorded information. For more information on solid waste and recycling ordinances and permits, visit the Santa Fe County Solid Waste. Click here for Drop Off Center locations including our BuRRT location.